No, not for Congress – those aren’t due until January 31. But the Baltimore City reports are due next Tuesday, January 20, and someone had some numbers he just couldn’t keep to himself over the three day weekend. Our first report has been filed, by City Council candidate Brian Hammock, running in District 4. Hammock’s bio can be found here. A former O’Malley staffer and campaign aide, Hammock is a VP for CSX Transportation and was previously an attorney for Venable, one of Baltimore’s most prestigious law firms. Hammock is running against incumbent Bill Henry, as well as fellow challenger Francesco Legaluppi. Hammock’s campaign finance report, filed yesterday, establishes him as a top tier candidate in the April primary. In addition to containing a long list of well known O’Malley and other figures in Maryland politics, including former Attorney General Joe Curran, former Communications Director Rick Abbruzzese, former Chief Legislative Officer Joe Bryce, former Democratic Party ED Quincey Gamble, lobbyist Sean Malone, current Party ED Pat Murray, former Senate staffer and lobbyist Tim Perry, former Senator and lobbyist John Pica, and former Party ED David Sloan (that makes 3!). As impressive as that list is, the more significant thing about it is the numbers. Hammock raised $120,863, spent less than $20,000, and has over $100,000 cash on hand. That’s some impressive fundraising right there – no wonder he filed five days before the deadline. I have to wonder if Hammock won’t potentially outraise some well-known mayoral candidates with that number. I’ll try to keep up with as many of the reports as I can, as they’re filed. Stay tuned for more fun. Both WBAL and the Sun are reporting that the trial of Officer Caesar Goodson, which was scheduled to start this morning, has been postponed by the Court of Special Appeals. Maryland’s second highest court has intervened and postponed the trial of Officer Caesar R. Goodson Jr., just as the case was set to get underway Monday with jury selection. The last minute order from the Court of Special Appeals followed a series of legal filings last week in which Officer William Porter sought to block a Circuit Court judge’s order forcing him to testify at Goodson’s trial in the death of Freddie Gray. Porter is also charged in Gray’s death, and his trial in December ended in a mistrial with jurors deadlocked. His next trial is not slated to begin until June. On Friday the appellate court temporarily blocked Porter from having to testify, saying it needed to hear from the state and consider the issue. The state responded Friday, but Goodson’s trial was still on track to begin. The move to compel a defendant to testify under immunity at a co-defendant’s trial is unprecedented in Maryland. Nevertheless, prosecutors argued — and Circuit Judge Barry G. Williams agreed — that the law clearly allows for such a maneuver. The belief last week was that the immunity issue would be resolved by the appellate court quickly, and that the Goodson trial,could therefore proceed. It’s clear now that the Court of Special Appeals won’t be ruling so quickly. Baltimore City Councilwoman Rikki Spector, a member of the Council for 38 years, has decided not to run for reelection, reports BaltimoreJewishLife.com. 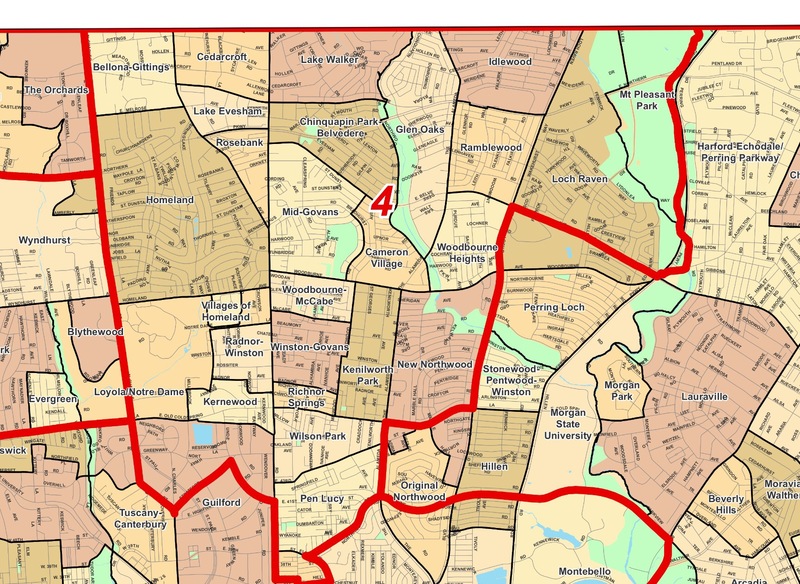 After hearing the speculation and rumors about Councilwoman Rikki Spector considering retirement, BaltimoreJewishLife.com contacted the Councilwoman to find out the facts. During a conversation that took place earlier today, Ms. Spector, the “Dean of the City Council”, told BJL that she will indeed be retiring at the end of her term. Elected in 1977, the Councilwoman served in the Baltimore City Council with distinction under six different mayors and oversaw the evolution of the Baltimore Jewish community. Always ready to lend a hand, Councilwoman Spector’s office was a known address for problem solving and providing services to her constituents. She looks forward to the next election after which, for the first time in 38 years, there will be a new occupant in her council seat. “I look forward to being a mentor and teacher and hooked at the hip to whomever replaces me and the city of Baltimore will be getting two Council people for the price of one,” she proclaimed.